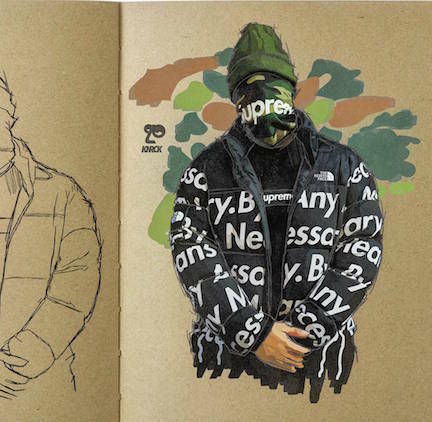 When he’s not drafting doodles of hip-hop’s cool guys, New York artist KNRCK (@kenr0ck on Instagram) keeps his finger on the pulse of sneaker and streetwear culture with these illustrations of exclusives. From sketches of the almighty BAPE shark hoodie to the elusive Just Don Jordan 2, these drawings will hold you over until the next release. Hey, look on the bright side: If Supreme’s inventory is going to be pretty much unattainable at retail, at least you can look at art in its honor for the low price of an Instagram click.